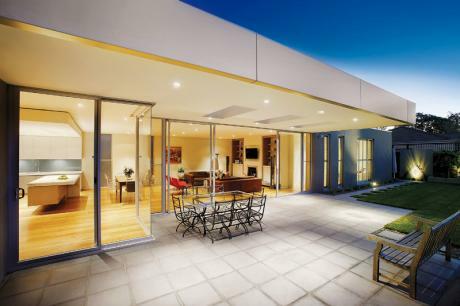 This contemporary facade leads to an imposing 40sq single level family home of beautiful proportions. The home boasts an extensive use of the latest designer finishes and features marble and detailed joinery in light filled and elegant interiors. Featured in Abode Magazine June 2008.